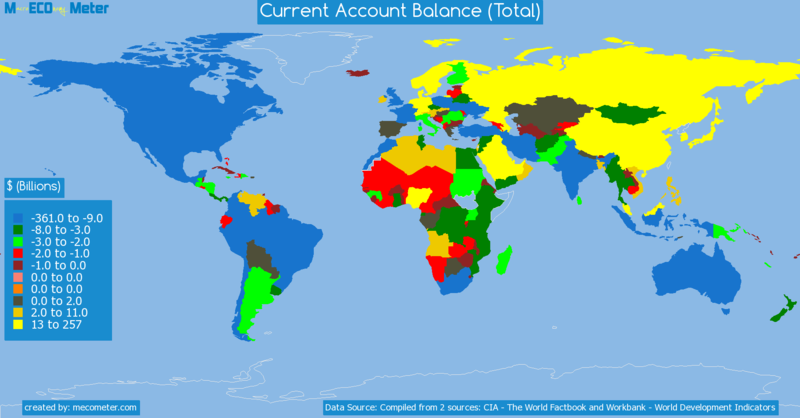 Value & RankThe Current Account Balance (Total) of Papua New Guinea is -2.40 ( billions of $) with a global rank of 151. 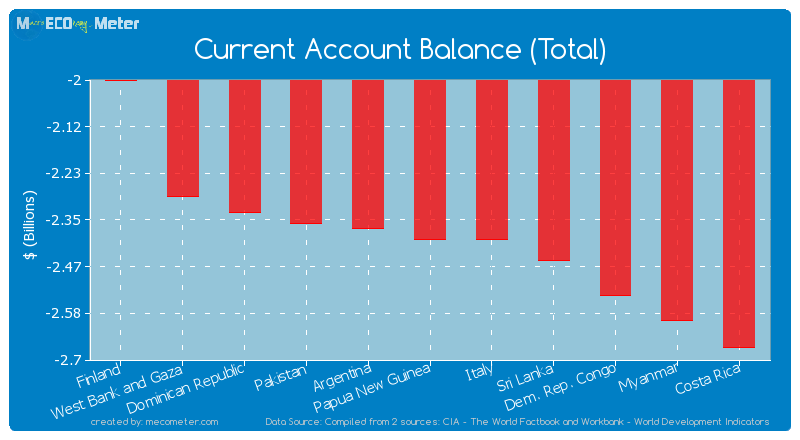 Papua New Guinea compared to other CountriesThe Current Account Balance (Total) of Papua New Guinea is similar to that of Finland, West Bank and Gaza, Dominican Republic, Pakistan, Argentina, Italy, Sri Lanka, Dem. 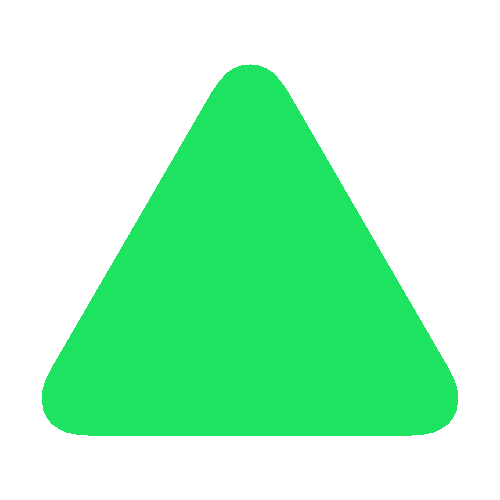 Rep. Congo, Myanmar, Costa Rica with a respective Current Account Balance (Total) of -2.00, -2.29, -2.33, -2.36, -2.37, -2.40, -2.45, -2.54, -2.60, -2.67 ( billions of $) and a global rank of 146, 147, 148, 149, 150, 152, 153, 154, 155, 156.10 years declinePapua New Guinea's Current Account Balance (Total) had a negative growth (decline) of 20,067 (%) in the last 10 years from (2003 to 2013). 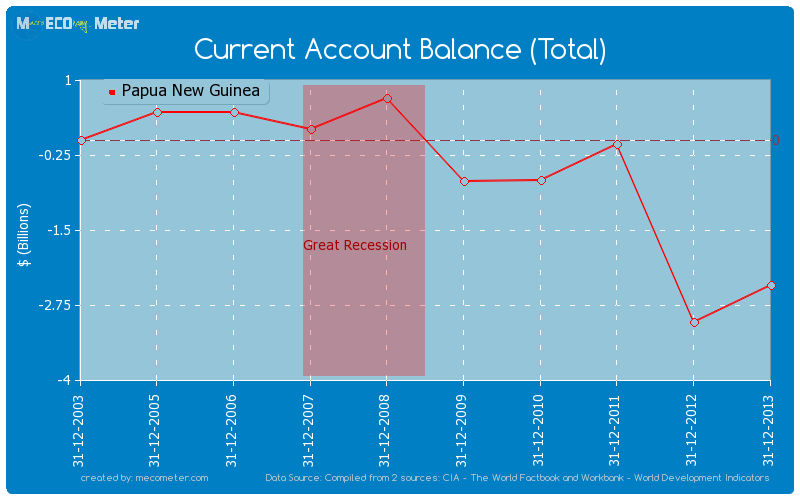 Last 10 years averagePapua New Guinea had an average Current Account Balance (Total) of -448 ( millions of $) in the last 10 years from (2003 to 2013).